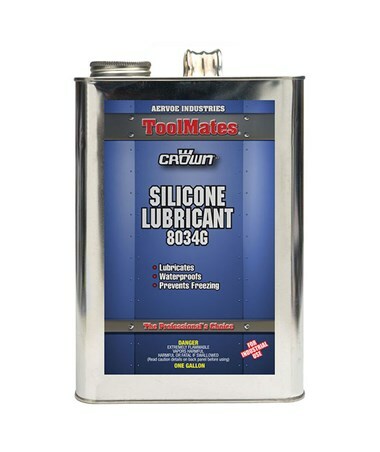 Ideal for industrial use in manufacturing facilities, the Aervoe ToolMates General Purpose Silicone Lubricant (2-Pack) adheres to most surfaces including wood, nylon, metal, rubber, canvas, leather, and chrome. 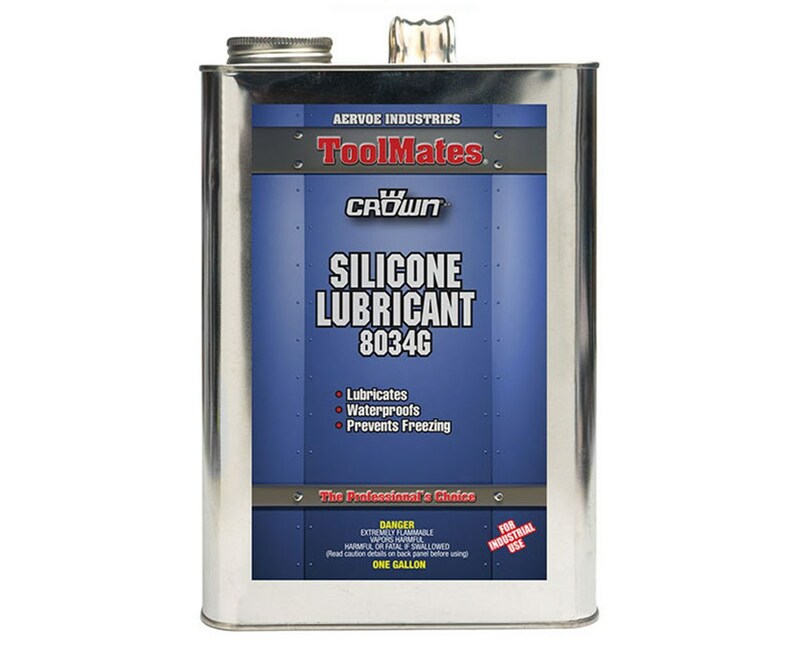 It provides excellent lubrication to reduce friction on moving parts and maintain smooth operation. It also offers superior protection against oxidation and extreme temperature. Featuring a high-grade formula with five-percent silicone content, this multi-purpose lubricant by Aervoe produces a thin, non-sticky lubricating film that resists water and prevents freezing. It is safe to use on most plastics and is slow-drying ensuring full penetration into surfaces. It has a working temperature range of 40 degrees Fahrenheit up to 110 degrees Fahrenheit (five degrees Celsius to 43 degrees Celsius). The Aervoe ToolMates General Purpose Silicone Lubricant (2-Pack) can be applied using a sprayer or a brush and also allows dipping. It comes in one-gallon container and is sold by case of two. With a one-year manufacturer’s warranty, it guarantees long-lasting, reliable performance. Miscellaneous Avoid materials with strong oxidizing agents, and strong acids or bases. May adversely affect certain plastics.